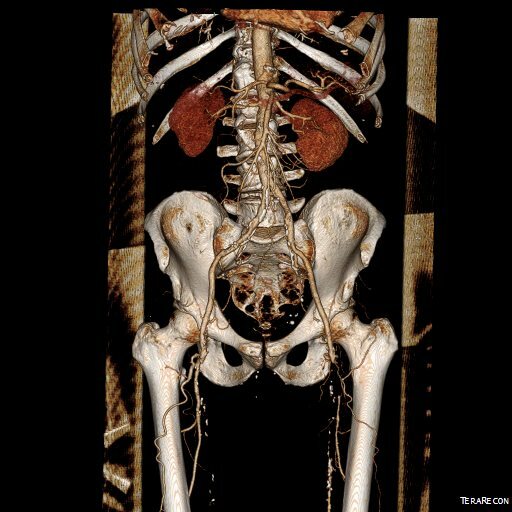 Should the SFA be revascularized during an inflow procedure? The patient is a 70 year old man who arrived with complaints of worsening claudication, worse on the left leg. He smokes over a pack a day. On exam, he only had femoral pulses, nothing was palpable below. 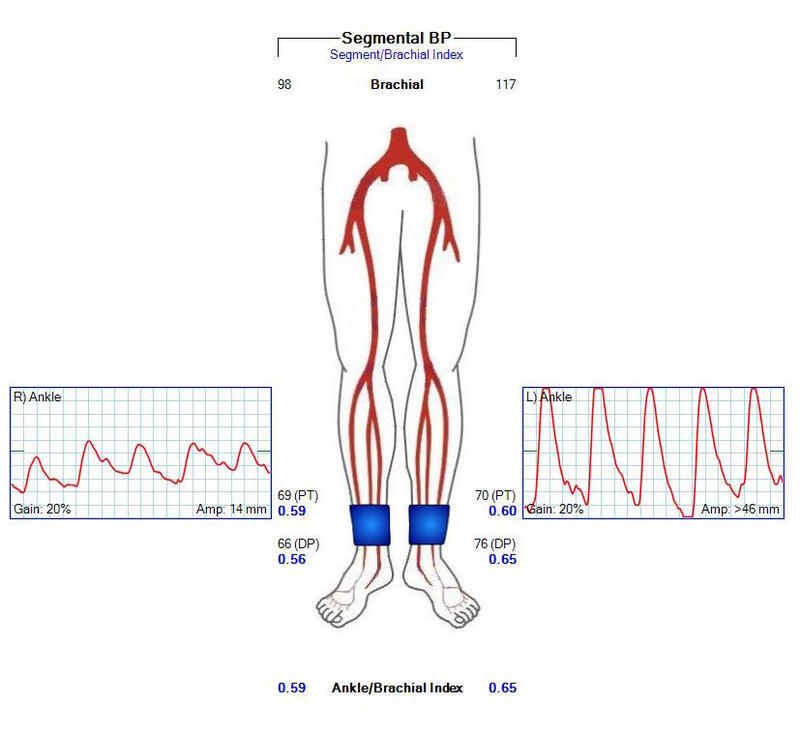 PVR showed multilevel disease with an ABI of 0.42 on the left leg. 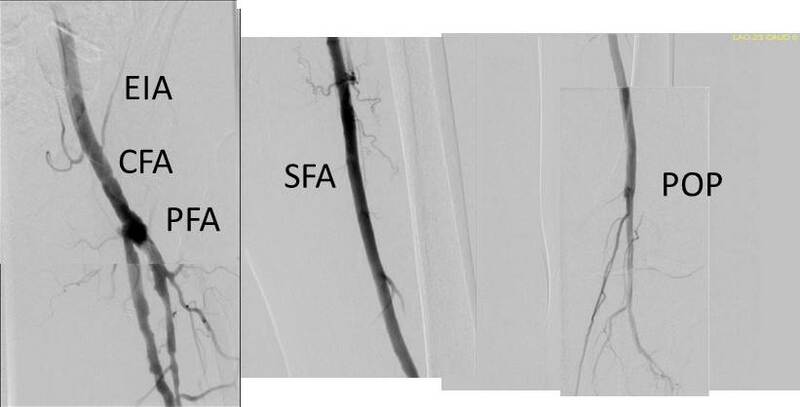 CTA was done showing that both his SFA and PFA were occluded, along with occlusion of his AT in the mid leg, and tibioperoneal trunk. There is a reconstitution point on the PFA, and there is also SFA constitution. Looking at this, it was apparent to me that it would be possible to endarterectomize the whole of the iliofemoral and femoropopliteal system from a single groin incision, but the question being, would a profundaplasty be sufficient. The textbook answer is profundaplasty, but given my experience with endarterectomy, it has become apparent that removing all the plaque, including CFA and iliofemoral plaque reduces the chance that clamp injury and stenosis occur, and that placed in the common iliac system have better patency than those placed in the external iliac, particularly crossing the inguinal ligament into a patch. The other observation is that with this exposure, SFA remote endarterectomy is very simple to do, but becomes more difficult in a redo situation. 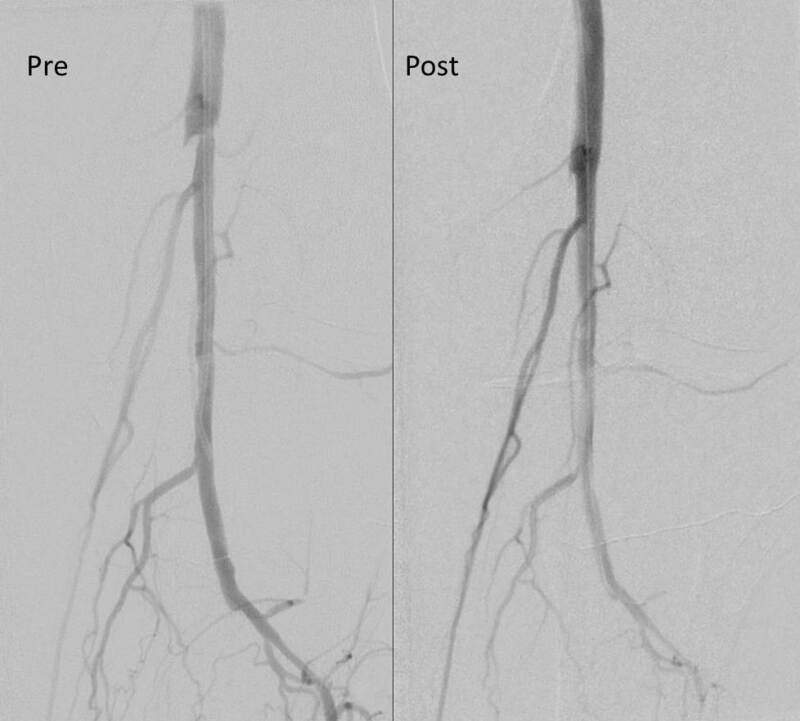 The only problem with going ahead with it is that the runoff is poor -all three tibial vessels occlude, but a very robust posterior tibial artery reconstitutes proximally from well developed collaterals. The CFA, PFA, and SFA were exposed as shown in my sketch at the beginning of the post. 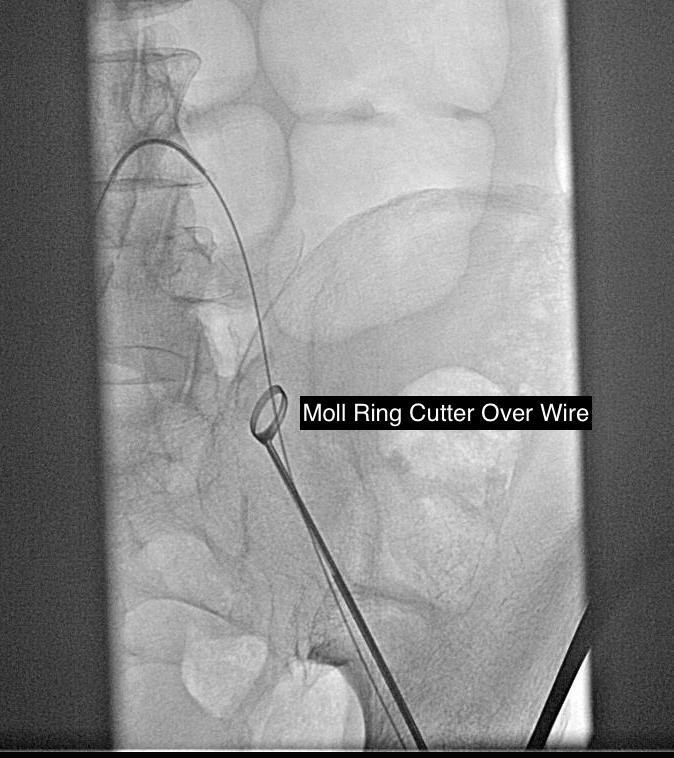 Wire access up and over from the right side allowed for secure control of the aortoiliac segment. The endarterectomy was started from the PFA reconstitution point and the CFA plaque was mobilized. 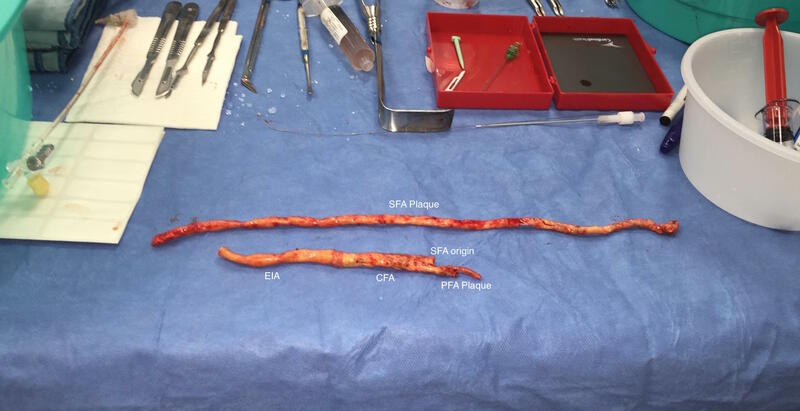 The SFA plaque was transected in a proximal arteriotomy and the plaque was mobilized with a ring to its origin. The CFA plaque then was mobilized with the ring dissector over a wire (for security in case of rupture), up to the EIA origin and cut. 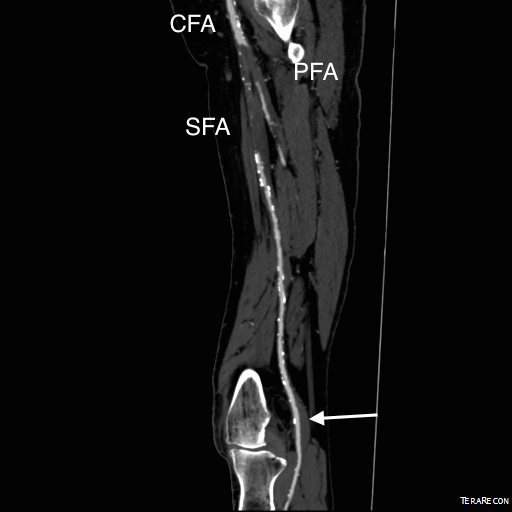 The distal SFA plaque was endarterectomized to the planned end point above the knee joint. The specimen is shown below. The arteriotomies were repaired with patches. 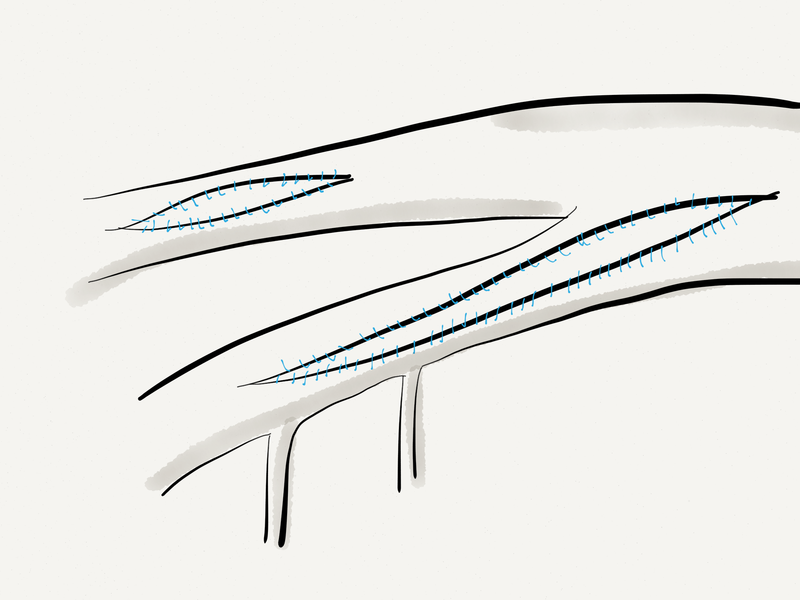 The common iliac artery was stented to improve the flow. The SFA end point was managed with a stent, placed proximal to the first large geniculate collateral. The patient recovered and was discharged on POD#3. His postop ABI’s are shown below. They are improved compared to preop, with ABI’s of 0.65. 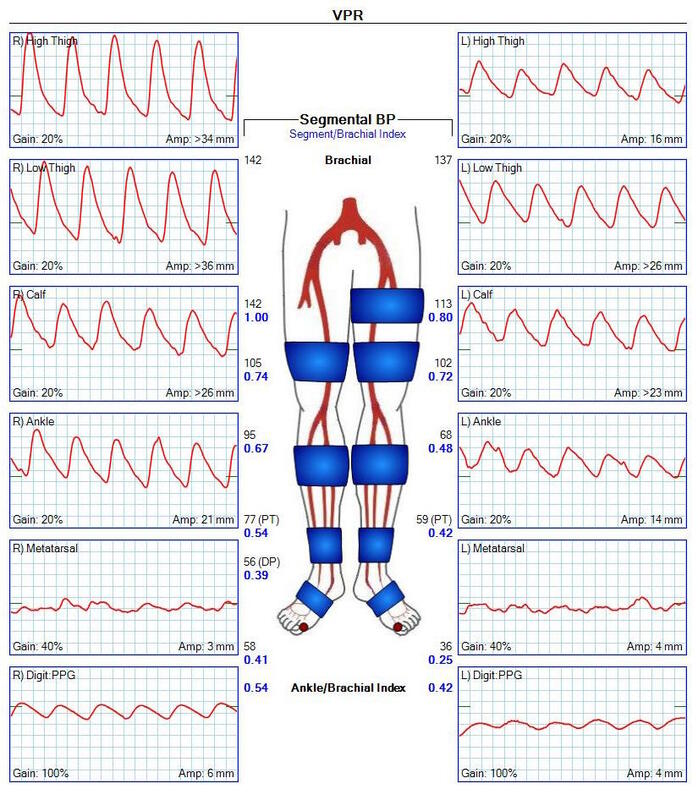 Notably, he did have a weakly palpable posterior tibial artery pulse, and multiphasic signals in all three tibial vessels. While I don’t know if the SFA revascularization will stay open, I am confident the PFA will, and this will keep him from his symptoms recurring and is a durable procedure. Ideally, if he had needed a distal revascularization, a vein bypass would be the answer, but in the setting of inadequate conduit, it is very simple to endarterectomize from the below knee popliteal artery the remaining plaque and either patch to the patent tibioperoneal trunk or perform a short POP to posterior tibial artery bypass. He did not require this. I don’t know the answer to the titular question, but in the setting of an inflow procedure, the best chance at opening the SFA is during the inflow procedure because of the exposure, and it is very simple to do when the lesion is minimally calcified. 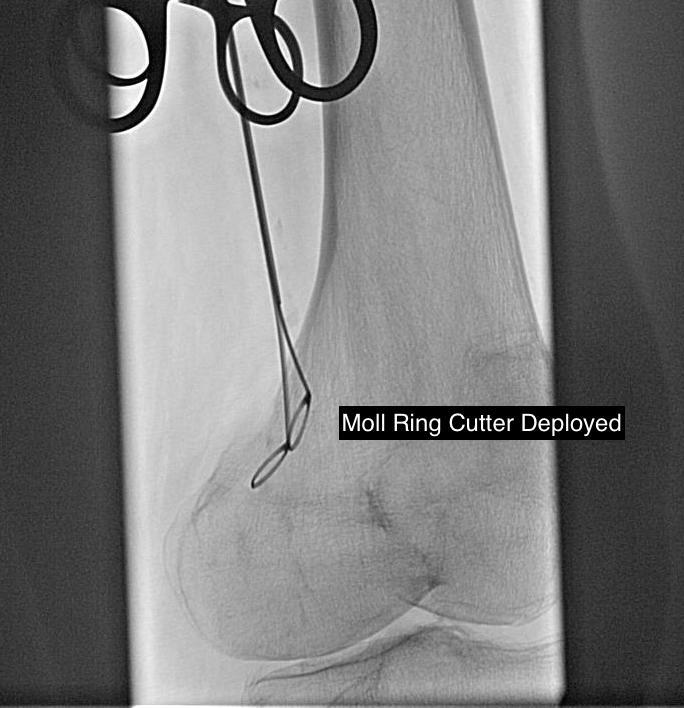 Previous PostRemoving Occluded Stents For Critical Limb IschemiaNext PostEndoRE-ABF -an alternative to the EndoABF which is in turn an alternative to the ABF.